The nearest Metro stations are Arts et Métiers (Metro lines 3 or 11), Réaumur-Sébastopol (Metro lines 3 or 4), or Strasbourg Saint-Denis (Metro lines 4, 8, or 9). 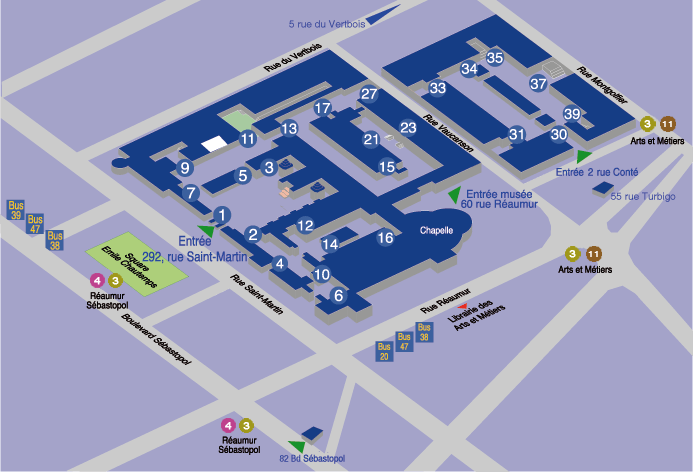 The CNAM campus is also served by the 20, 38, 39, and 47 bus lines. See here for an interactive map of the Metro and bus lines.